Amigurumi monsters! In pink! That’s what I’ve been making the past two weeks. Who would have thought?! I’m not a pink person and I don’t have children so why you ask would I venture down the pink children’s toy path? It’s because I’m one of the lucky bloggers in the blog tour for Kerry Lord’s new book Edward’s Crochet Imaginarium, published by Pavilion Books Books. Monty Knits blogged her review yesterday, which you can read here and today it’s my turn to share my review. 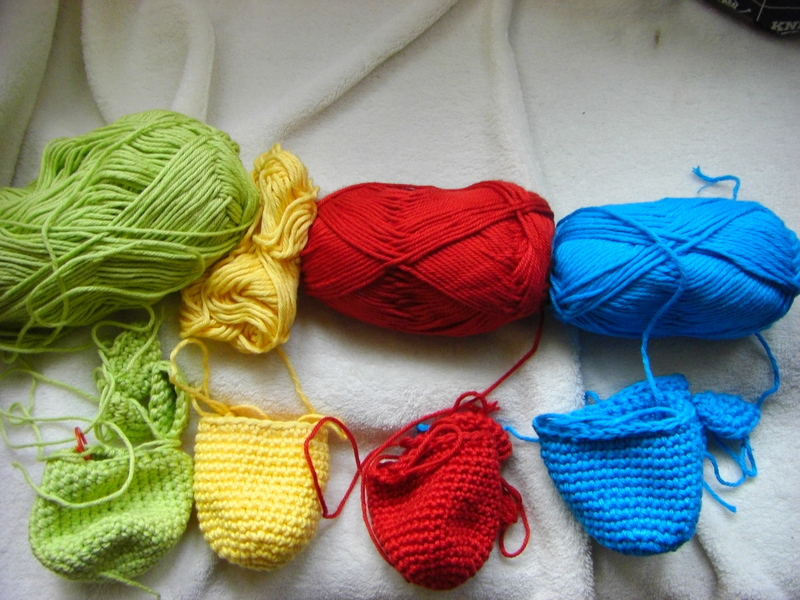 If I can sum up my experience of using this book and making my amigurumi toys, it’s this: fun. The book is fun, designing my monster toy was fun, the Gallery of monsters is fun, making the monster was fun. Fun, fun, fun. Edward’s Crochet Imaginarium is very different to the average crochet pattern book. It has a clever flip-book section which allows you to play around with different head, arm and feet combinations. Add to that the six tails and eight colour change patterns, the book allows for your imagination to run wild. 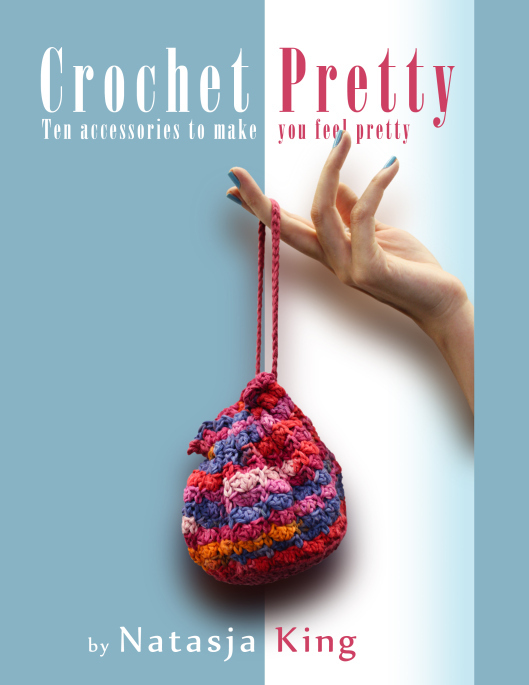 The book is aimed at beginners and seasoned crocheters. All the basic stitches and techniques are clearly explained and photographed, and you can even watch tutorials on the TOFT YouTube channel to help you through all the steps of making monster. Here are just six of the 40 monsters in the Gallery. Photos courtesy of Kristy Noble. The designs are so varied, and options so many, you can really spend your whole life crocheting and still not have made all the variations. The two monsters I made are going to be gifts for 3 and 5 year old girls. Their mom said it had to be pink, and they couldn’t differ too much from each other lest one might be judged prettier than the other, but they also couldn’t be identical lest little madams confuse which toy is theirs. A tough brief to follow. It took me three days to decide what I wanted to make! I was continually flipping between the Arm, Head and Feet pages. Just as I thought I knew what I was going to make, I flip a page and then everything changes. Such Fun!!! In the end I decided on Arms and Feet no. 2, and Head no. 15 but in stead of only making hair spines around one ring on the head, I did four rings of spines and crocheted them in two shades of pink. The colour shading of my bodies are that of Gallery Monster no. 20. To set the two monsters apart I made half of one arm & one leg in 1-row bands of pink and white, and for the second monster I used 3-row bands of pink and white. I also used slightly different shades of light pink yarn. Something I found especially useful were the instructions for the order in which to sew on the arms and legs to the body, and placement of the legs so that your monster will not fall over when sitting down. Those instructions, and the flip book section for Arms, Feet and Heads, were the highlights of the book for me. Seriously clever and useful! There was only thing I did differently to Kerry’s instructions: the eyes. I struggled to get my eyes to look friendly when I did it as Kerry suggested in her book, so I settled for < shaped eyes. This is not a reflection on Kerry’s instructions – it’s totally down to user error/incompetence. Fingers crossed the little madams like their Pink Monsters. If they like it half as much as I liked designing and making them, they’ll be a mammoth hit. There are two more stops on the Edward’s Crochet Imaginarium book blog tour. Tomorrow you can read The Twisted Yarn‘s review and then the book tour ends on Tuesday with The Little Room of Rachell. The book is available to purchase on Amazon or from Toft for £14.99. If you buy it directly on the Toft website, you will also receive a free and exclusive pdf that includes bonus patterns. 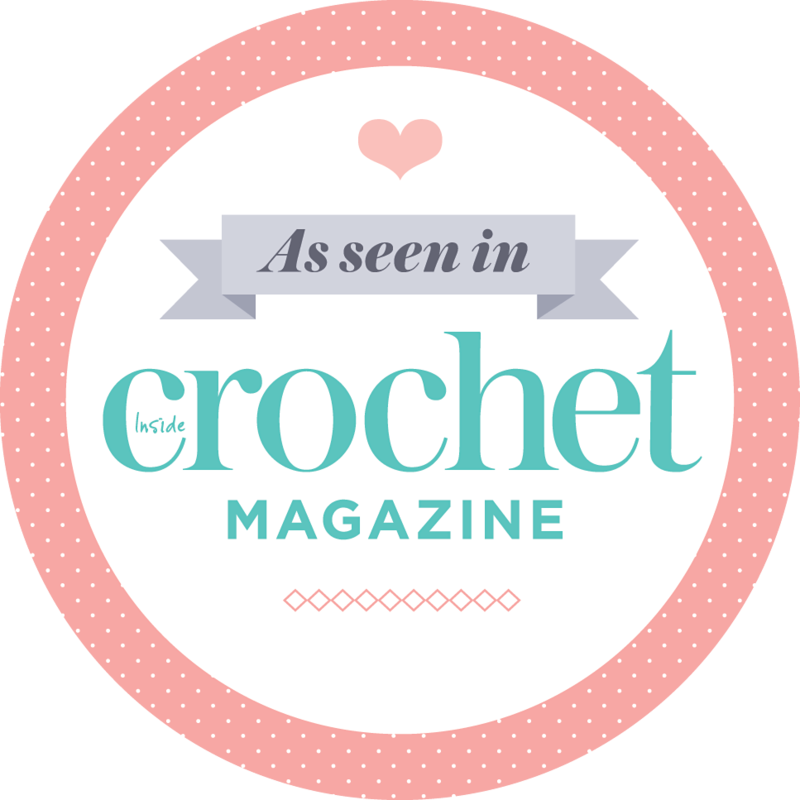 Leave a comment below telling me about your experience of making amigurumi toys and I will pick a comment at random and send you a copy of Edwards’ Crochet Imaginarium! (UK residents only.) Entries close at 12 noon on Sunday 18 September 2016. Continuing with the Mad Men theme of earlier this week, check out the cast of Mad Men in crochet amigurumi! Every figure is custom crocheted in order to capture the special details that make each character unique. From Peggy’s ascot to Cooper’s suspenders to Joan’s *ahem* curves, each Mini Mad Men doll is a tribute to one of the best shows on TV. It’s the work of an American crochet artist called Smapte, who sells on Etsy under the name Xanadoodle. You can see the full listing for the six amigurumi dolls here. I think my favourite doll is Peggy, although I really like Joan’s hair. Did you notice that Don is the only one without a big friendly smile? Probably because he’s the character who says things like “What you call love was invented by guys like me to sell nylons.” Real life, or amigurumi – Don doesn’t do friendly. Which Mad Men mini doll is your favourite? 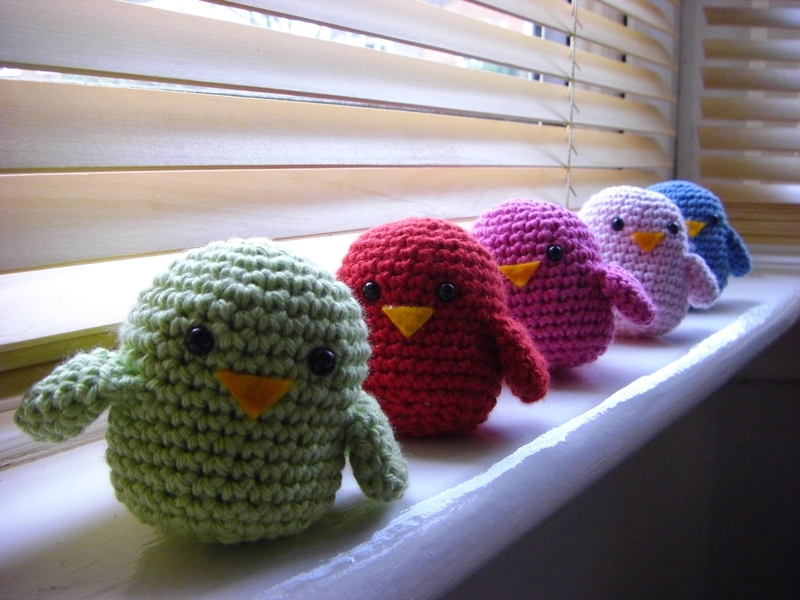 You can buy the pattern for these very cute amigurumi owls for $5 / £3.30 in Lybo’s Etsy shop here. I was looking for something (totally different) in Google images when I came across this amigurumi crochet hook. Is this not THE cutest thing you’ve ever seen?! Oh what joy that Google image searches are so very random. Best of all? You can make one of your own! Nerdigurumi, who is the creator of this mind blowingly cute amigurumi, gives the free pattern here. Check it out and go forth and hook a hook! How cute is this little guy?! Check out his removable scarf and flippers that can balance snowballs! His name is Snuggles The Penguin and was created by Stephanie of All About Ami. I found Stephanie’s tumblr blog quite by accident, but what a lovely find! 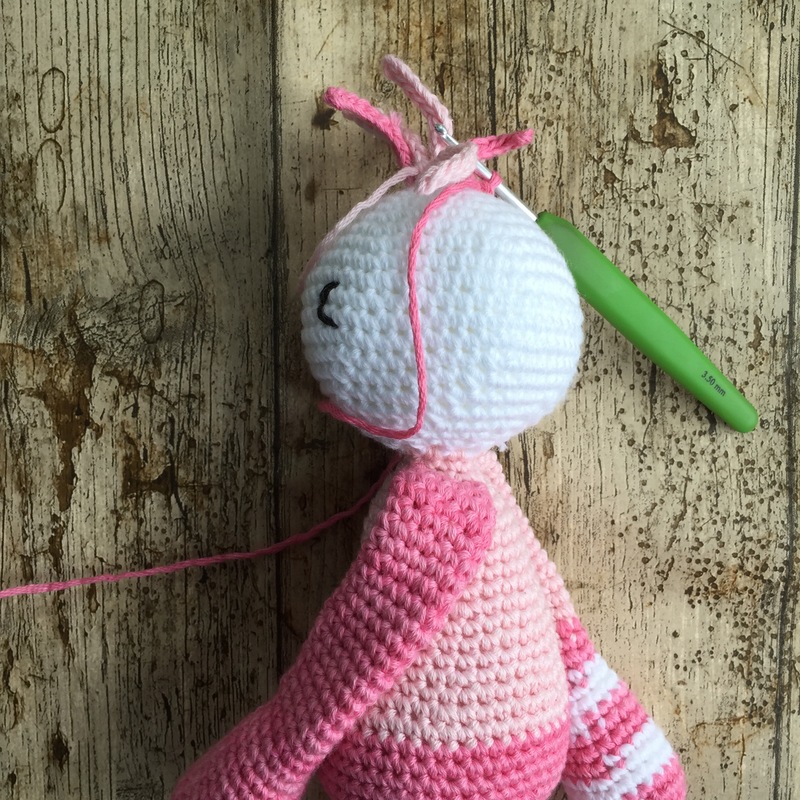 Not only does she share the very, very cute amigurumi she makes but she shares the patterns as well! This is the link to the pattern for Snuggles, and you can find all her patterns here. What about this one: have you ever seen a cuter dragon?!? Stephanie created Dragon from a drawing by Kim of Oborocharms. From a drawing I tell you! My head can’t work out how anyone can look at something in 2D and then create a 3D crochet piece from that. Huh? That’s so clever! I barely understand crochet diagrams! 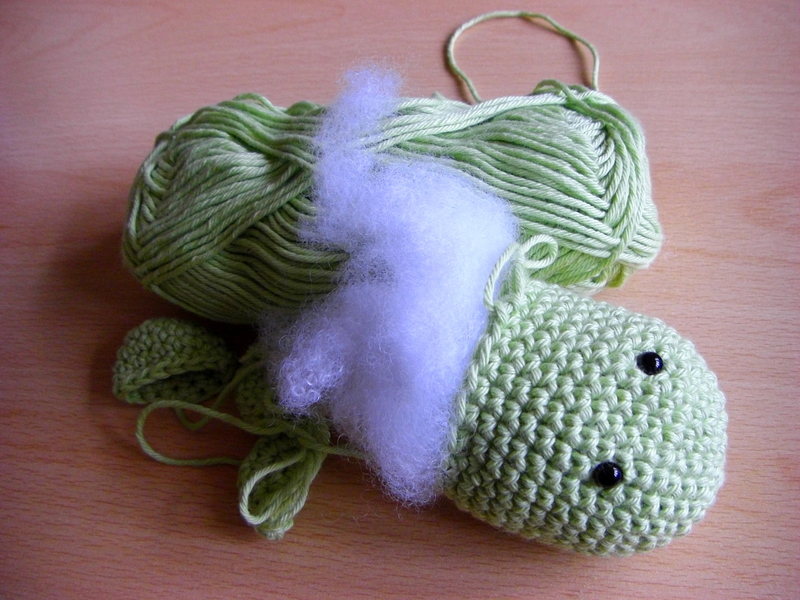 When she had finished Dragon, Stephanie told Kim that she made a amigurumi dragon based on her drawing and a friendship was born which lead to Snuggles the Penguin, which Stephanie crocheted based on one of Kim’s charms. I love the “back story” for Dragon and Snuggles: two creative people working together is bound to create something special. And as a bonus, we can have a piece of that action by hooking our own Dragon and/or Snuggles. Result! Twelve days to go to the W.I. Maple Village Christmas fare and I am done crocheting things to sell. Finito. Kaput. Oppela. I really really really enjoyed making the birdies! They are so adorable! and lastly I have to add a triangle of orange felt so they can chirp tweety tweet like any flock of birdies would do. I’m sure you will want to make a flock of birdies for yourself now wouldn’t you? Yeah, I knew you would 🙂 Who can resist these cuties?! You can find Bitter Sweet’s “Birds of a Feather” pattern here. My birdies are done in Rowan Handknit Cotton, Stylecraft Cotton Classique and Drops Paris with a 3.5mm hook. The eyes are 6mm safety eyes. As one of my fans on Facebook said, I hope these birdies “fly off the shelves”. Then again, they look so freakin cute on the windowsill I might have to keep a couple for myself. 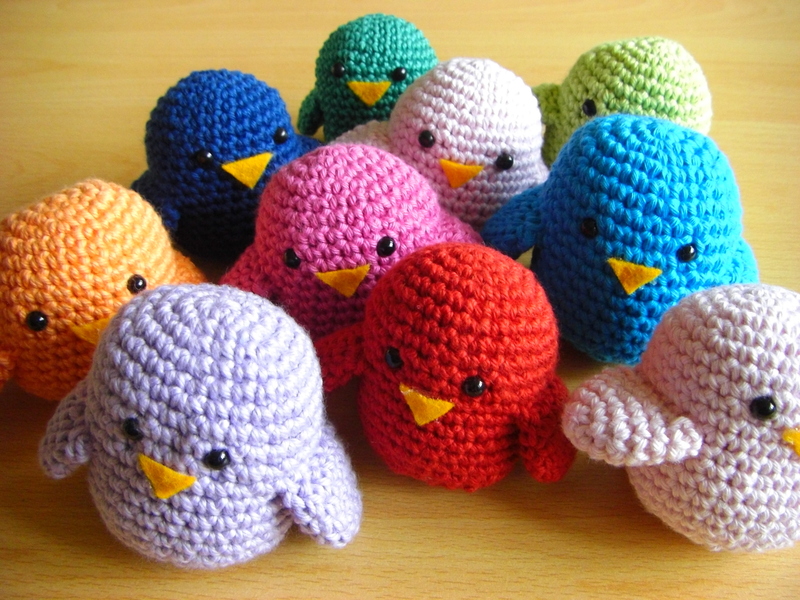 Feel free to comment to this post with links to your blog, or post photos to my crocheTime Facebook page, of birdies you make. I’d love to see them!